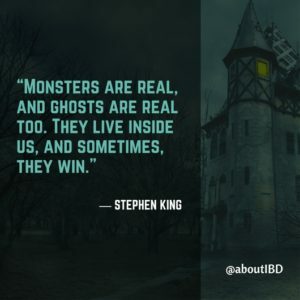 The first edition of my About IBD Podcast where I talk about this fungus fracas, how it relates to IBD, and why I’m not too worked up about IBD research done on mice. This entry was posted in Podcast and tagged awareness, podcast, progress on August 15, 2017 by Amber. Aww. I’m a baby. Why am I holding a football? No idea. 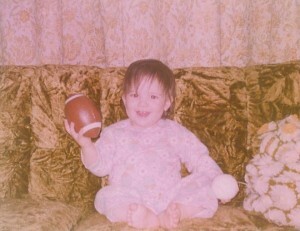 This would have been mid-70s, as evidenced by the green velour couch. It was a super comfortable couch, let me tell you. Great for building forts, too. At the risk of sounding aged and out-of-touch, daily life was much different when I was diagnosed and even 10 years later when I had my j-pouch surgeries. No smart phones. No Internet. No digital photos. Most people didn’t have computers. A lot of people didn’t own cameras. This entry was posted in Advocacy, Amber Says, Motherhood, travel and tagged advocacy, j-pouch, progress, school, social media on November 5, 2015 by Amber. Do I Ever Run Out Of Ideas? Everyone has their routine, right? 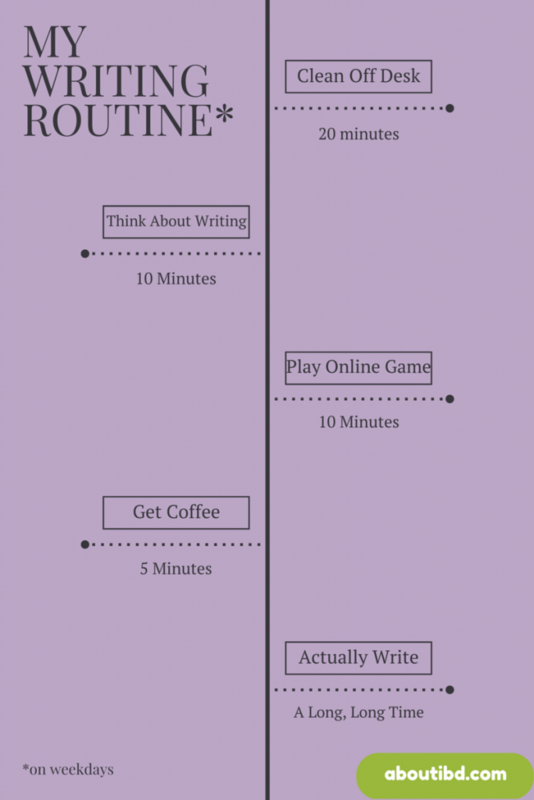 So, I don’t do this each and every time I sit down to write, but it’s a pretty fair description of how most days go. I have to clean my desk off and I have to get coffee, but other things are subject to change. Frank Garufi Jr of The Crohn’s Colitis Effect asked me a question that I actually get asked all the time, so I felt it was worthwhile to answer in writing. And actually, no, I don’t. Now, that’s not to say there aren’t topics that I drag my feet on writing, or that I don’t have the resources to write at a particular time. But I never actually run out of ideas. There are times I’m tired of writing. There are times that a particular topic is so personal that I can’t seem to get it out of my brain and into my computer. There are times when I just can’t find enough sources to write about a topic intelligently. But there are never times that I don’t actually have any ideas. This entry was posted in Advocacy and tagged progress, volunteer, writing on May 2, 2015 by Amber.